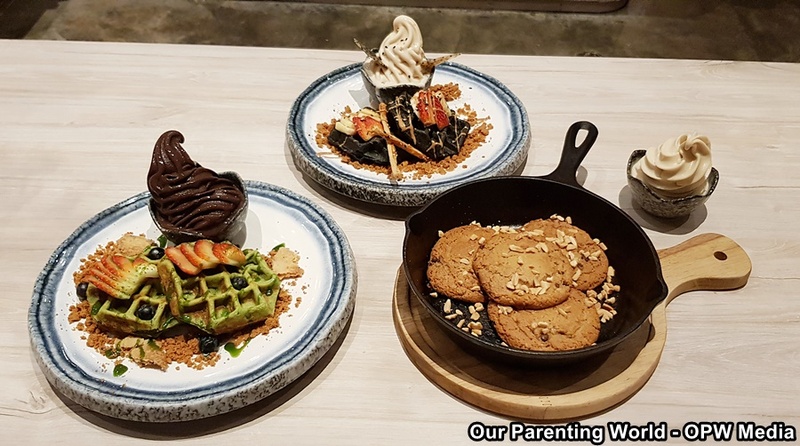 KARA Café & Dessert Bar at Bukit Timah is a trendy, cosy and family-friendly cafe that is set up by Lee Li Ping. She drew her inspiration from her travels and favourite cafes around the world, particularly the city of LA where there is a wide ethnic and cultural diversity consisting of Japanese, Thai, Mexican, Korean and American. The cafe has launched new menu items to keep to the same Asian-Californian theme of strong robust flavours and multidimensional textures to tantalise the tastebuds. KARA Cafe & Dessert Bar features some of the food that will bring back fond childhood memories such as Classic Mac & Cheese and Cinnamon French Toast. Our kids love to eat Mac & Cheese and were delighted to see this dish on the menu. Gratinated Mac & Cheese used the cafe’s personal blend of smoked dutch cheese and red cheddar gratinated for a crispy top. This dish is loaded generously with macaroni and cheese, each spoonful is so rich, full of cheesiness and flavour! 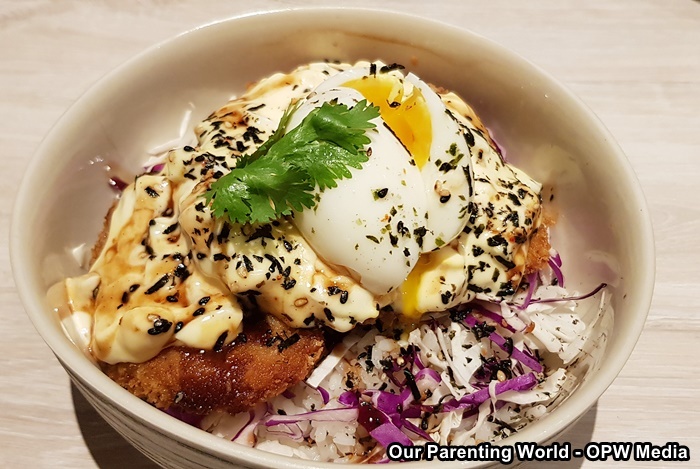 If you are into Japanese food, KARA Cafe & Dessert Bar serves a variety of favourite Japanese-inspired items like the KARAage Oyakodon, KARAage Nanban, and Pork Katsu Toastie. The KARAage Oyakodon consists of crispy chicken pieces that have been deep fried and simmered in savoury onion and egg sauce topped over a bowl of rice. This is a hearty bowl filled with delicious, crunchy chicken that is so satisfying! This is a must-try at the cafe consisting of thick-cut pork loin that is marinated, breaded and fried to perfection. The meat is so tender, juicy and sprinkled generously with Japanese Katsu sauce that makes the pork even more tasty, comes with mayonnaise and a soft egg. Fish is a healthy food that provides many health benefits and rich in omega-3 fatty acids that is essential for our body and brain. The fish is deep fried with its house-special batter and accompanied with lots of mentaiko sauce, cabbage slaw, mango salsa and pickled onion. A tasty dish that has really good and crispy tempura fish. If you don’t want to take fried stuffs, you can try Aburi Mentaiko Salmon, the bowl consists of cooked salmon flakes, mentaiko, mayonnaise, mozzarella, furikake, soft onsen egg. This is a delicious creamy dish that is loaded with cooked salmon that you will enjoy. 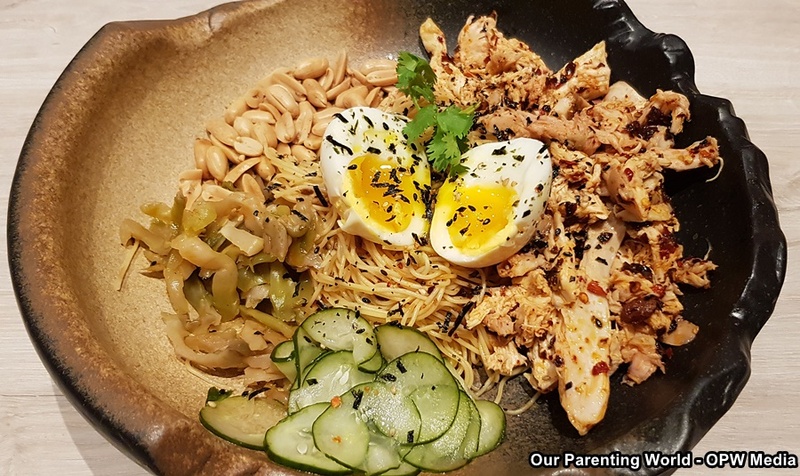 If you are the kind that can take hot and spicy food, you must try this MALA Chicken Chilled Noodles. This spicy, numbing dish is tossed with a homemade chilli concoction and poached chicken thigh pieces. The noodles are delightfully refreshing, springy and chewy. Not forgetting KARA Cafe & Dessert Bar’s range of delectable desserts that are beautifully plated and pleasing to the eyes and stomachs. Featuring its homemade mochi waffles and freshly-baked skillet desserts. The waffles are chewy inside and crispy on the outside and you can choose from their individually designed waffles like Matcha Berry, Charcoal Sesame and Plain Banana Nutella. Its freshly-baked skillet desserts like S’mores Sensation with marshmallows and Warm Peanut Butter (PB) Cookie are served warm, both need about 15 to 20 minutes to prepare and serve with a cold soft-serve ice cream. KARA Café & Dessert Bar is also known for its popular Sogurt self-served frozen yogurt. 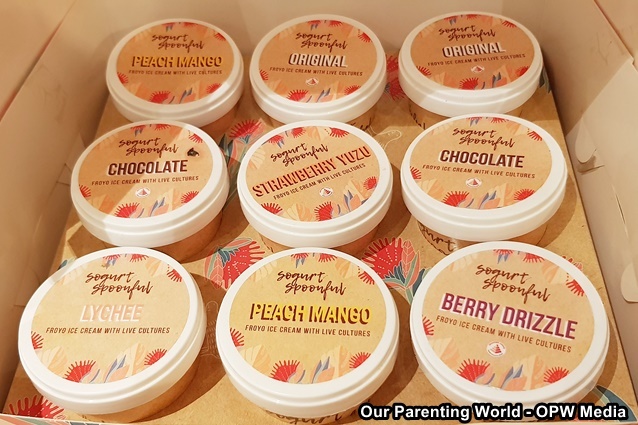 Owner, Lee Li Ping launched Sogurt Spoonful, a new HPB certified “healthier-choice” product line of hard-serve froyo. It introduced its new concept KARA stores in 2018 as the first locally produced frozen yogurt ice-cream with prebiotics and live active bacterial cultures in pre-packed form. Sogurt Spoonful contains lots of benefits like prebiotics for gut health to promote effective digestion and absorption of food extending to general well-being. Sogurt Spoonful is naturally crafted with coconut oil and New Zealand skim milk, a source of calcium and protein to build strong bones and teeth. It is wholesome and low in sugar. It promotes weight loss by boosting one’s metabolism, and is the perfect pick-me-up for all occasions! It is also a versatile product that can be used in multiple creative and healthy home recipes, such as froyo smoothies and granola bowls. We are glad to discover this cosy cafe nestled along Bukit Timah road that serves a range of delectable menu of hot, healthy food and delightful desserts and frozen yogurt. It is a good place for family to chill out and enjoy fabulous food!